Last September, the underground hip-hop community lost their stuff when a new Mos Def track dropped out of the sky. 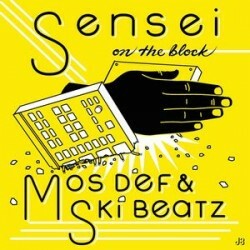 The track, “Sensei on the Block”, featured the Brooklyn rapper at his finest, over a killer steel-drum beat by Ski Beatz1. Many, me included, thought that this was a return to glory for the Mighty Mos Def – both from a lyrics and titular perspective (in late 2011, Mos decide to perform under his gov’t name – Yasiin Bey).